The MPU5 is the world’s first Smart Radio with an onboard AndroidTM Operating System that includes everything you need built in. You will spend less time gathering and organizing gear and more time accomplishing the task at hand. State-of-the-art radio technology combined with the Wave Relay® MANET allows you to go farther and faster than ever before. Integrated GPS, native video encoding/decoding, and PTT audio allow your team to share a common operational picture. The MPU5 is more than just a radio. Persistent Systems’ team of engineers designed the MPU5 to be an AndroidTM computer system: A Smart Radio. The MPU5’s onboard AndroidTM OS enables you to install and run 3rd party applications directly on the device. As a Smart Radio, the MPU5 is a network and mobile computing platform that works simply and easily. Plug sensors directly into the MPU5 to process and distribute data without additional hardware. Connect a monitor, mouse, and keyboard to create a command center in the field. Control unmanned vehicles, run ATAK situational awareness suite, watch video, and monitor sensors directly from the MPU5. With a 1GHz Quad Core ARM Processor, 2GB of RAM, and 128GB of flash storage, the MPU5 is a powerful computing device. Over the past 15 years, the engineers at Persistent Systems have pioneered the development of Wave Relay® – the world’s most advanced Mobile Ad hoc Network (MANET). The Wave Relay® MANET was designed for the mobile user and is the core of the MPU5. The MPU5, powered by the Wave Relay® MANET, allows a distributed and decentralized group of fully mobile users to communicate continuously and efficiently without the need for fixed infrastructure or MAC-level timing. Every MPU5 on a Wave Relay® network communicates with each other, forming a true peer-to-peer mobile network with no master node or base station. Freely add and subtract MPU5s from the network without losing connectivity or reconfiguring your devices. The Wave Relay® MANET routes data from radio to radio enabling the network to grow, adapt, and extend as more MPU5s are added. Massively scalable and incredibly intelligent – the MPU5 keeps you connected and ready for anything. The MPU5 introduces an industry-changing RF Module engineered from the ground up. The dedicated RF team at Persistent Systems spent three years designing the MPU5’s RF module to outperform any other on the market. With up to 10W* of power and 3x3 MIMO technology, the MPU5 communicates more data further, faster, and more reliably than any other MANET system available. * For military and export use. 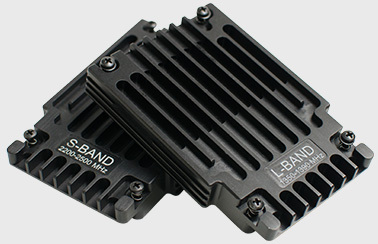 The MPU5’s radio system is built on 3x3 Multiple Input Multiple Output (MIMO) technology. 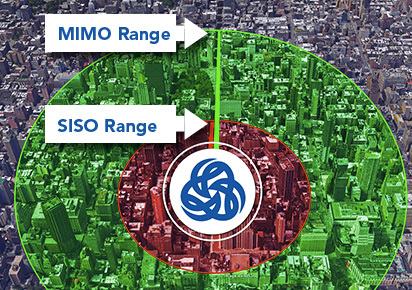 MIMO Technology allows for extended range and increased throughput in complex urban, subterranean, and maritime environments - both line of sight (LOS) and non line of sight (NLOS). MIMO enhances range, reliability, and throughput by utilizing the RF reflections from the radio’s surroundings. The MPU5 implements state-of-the-art MIMO diversity technology including Spatial Multiplexing and Maximal Ratio Combining. Teams working in cities, tunnels, and buildings will experience the MPU5’s tremendous performance advantage where other radios fail. Persistent Systems’ communication innovators designed the MPU5 to eliminate the divide between teams from different organizations with incompatible communications equipment. The MPU5’s Intelligent Radio over IP (RoIP) Tether feature allows you to communicate across separate organizations seamlessly. With one simple cable, the MPU5 tethers to your existing Land Mobile Radio (LMR) system and makes it available as a talk group to MPU5’s on the network. Everyone carrying an MPU5 can now speak on all of the existing LMR channels. Multiple LMR radios can co-exist with the MANET on the same channel. Every time you key-up the talk-group the current “best” LMR radio is automatically selected to transmit. Reliable voice communication is critical for success. The MPU5 delivers crystal clear Push-to-Talk (PTT) voice over 16 switchable and independently configurable talk groups. 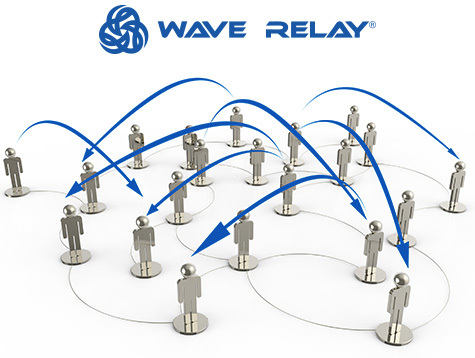 The Wave Relay® MANET enables you to maintain continuous voice connectivity as you move around corners and traverse the environment. Utilizing the G.711 audio CODEC, the MPU5 seamlessly integrates with 3rd party radio interoperability systems commonly used in operations centers. 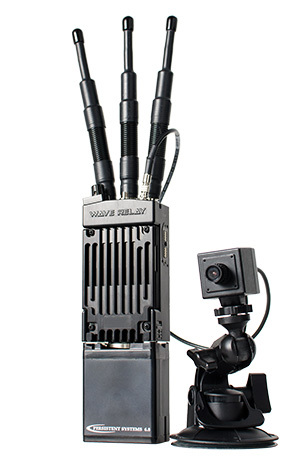 The MPU5 enables you to encode and stream live audio and video without the need for external hardware encoders by directly connecting HD and SD camera systems via 3G-SDI, HDMI, and Composite video inputs. The MPU5 encodes and streams H.264 feeds at resolutions ranging from 320x240 to Full HD 1080p30 and 720p60. The on-board hardware accelerated video encoder supports both unicast and multicast UDP streaming in an MPEG-TS transport stream. The MPU5 also provides hardware accelerated H.264 video decoding enabling you to watch up to four video streams simultaneously.